One of our newest Book Club Girl made to match any book you need! 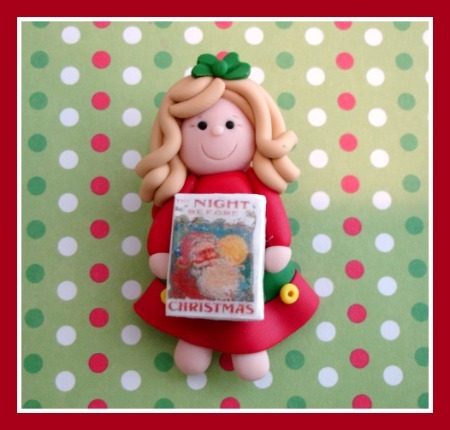 Meticulously handsculpted from polymer clay and measuring 2 inches tall, this sweet is dressed her her nightgown on Christmas Eve waiting for Santa holding her favorite book, Night Before Christmas. Please let me know upon checkout if you need holes in the bead and which direction or no holes for bow center. Copyright © 2005 Candyland Beads All Rights Reserved.